195 Countries – Why can’t we learn them organically? | …to the real. 195 Countries – Why can’t we learn them organically? The issue of learning holistically I will address in the next post. This one came up a few times when speaking with friends who weren’t in education. Most of these friends had pretty good geographical knowledge. Some had taken to Sporcle throughout university to amass their knowledge, some had picked it up through the news and media etc. and some had had to ‘learn lists of facts’ like the countries during their time in school, and now resented it. That last point obviously worries me; I don’t want a school system that people grow up to resent, but I think it’s an issue worthy of its own separate post. Also, others have gone through a similar process and deeply value the result, so I suspect it was more a function of the school environment and the pupil relationship with the teachers than it was about the act of ‘memorising lists’ per se. It’s the second point that’s worth picking up on now: some had amassed their knowledge through news and the media. Their argument is that people will learn all that they need to learn from taking an interest in the world. This will be more natural and less stressful than having to learn it at school, and they will learn the things that are important for them to know, when they become important, rather than having a dead weight of unused knowledge that was a waste of time to learn. This all seems fair enough. So why doesn’t it work? It leaves education to chance. Some people might learn a lot this way, some will learn little or nothing. I for one learnt little or nothing. 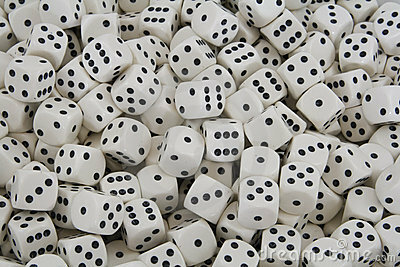 Rather than having been the victim of a dice roll, I would prefer to have left school knowledgeable about the world. How willing would you be to roll the dice on your own children’s education? And that’s really all there is to that. It assumes something about human nature that isn’t true, or at the very least, does not apply to every person. It’s a nice idea; I too wish we could just leave it to ‘life’ to bestow the knowledge upon everyone, with ease, without the toil of study. It is essentially wishful thinking. In 1798 the economist Thomas Malthus deconstructed similar arguments made by the Utopians. A writer may tell me that he thinks man will ultimately become an ostrich. I cannot properly contradict him. But before he can expect to bring any reasonable person over to his opinion, he ought to show that the necks of mankind have been gradually elongating… And till the probability of so wonderful a conversion can be shown, it is surely lost time and lost eloquence to expatiate on the happiness of man in such a state. If it were the case that everyone learns these things organically, as suggested, rather than a minority, then we would find that everyone knows it all already. That is clearly not the case. If we decide not to make it a priority at school, most people won’t learn it. 11 Responses to 195 Countries – Why can’t we learn them organically? If they did that they would quite likely be mocked as a middle-class show-off parent by other parents – and by teachers. Many home-educating parents do tackle subjects systematically and rigorously with their children. But not all use social media and even those who do, don’t necessarily make detailed accounts of their children’s learning available to all and sundry. And yes, I have done calculus with mine. Also I’m not convinced as the minute they think their child may not pass any qualifications then tutor time it is. There is also a fallacy among home educators that they don’t do this and that it is all organic. Having met someone who works regularly with home educators I was enlightened to all of this!! It’s just monstrous being educated by ones parents alone!! Sweeping generalisation based on hearsay. Some parents are rubbish at educating their children. Others aren’t. Just as schools vary from awful to brilliant. Home educating parents vary widely in their economic circumstances and in the reasons why they educate their children at home. Many go out to work part-time, work from home or run their own business. So maybe still sweeping. As for the quality… Yes it is variable, but LAs generally address that not by offering support but by routine inspection, for which they don’t have a legal mandate. Your faith in local authorities is touching. Local people are sometimes up against corruption (Private Eye can keep you up to date on this), ignorance (HoC Education Committee found only 30 of 150 LAs had home-education guidelines in line with legislation) and corner-cutting because of budget cut-backs. Children’s social services for example, now often focus solely on children at risk (s.47 assessments) not on children in need (s.17 assessments). Apologies to Kris for going way off topic but accurate factual information is important. Pingback: 195 Countries – Why can’t we learn them holistically? | …to the real. I agree that a distinction between organic learning and holistic learning is a useful one. I also agree that leaving knowledge acquisition entirely to chance is a bit risky. As you say, some people will pick up a lot, others won’t learn much at all. However people can and do learn organically, often a great deal. This is most noticeable in the workplace where the majority of the knowledge people acquire is learned organically (referred to as ‘incidental’ learning in the training literature) rather than through direct training. But most people don’t call it organic or incidental learning, we call it experience. As for holistic learning, I completely agree that facts need to be contextualised. What is often noticeable by its absence from schools is a useful concept borrowed from linguistics – deep structure. In our academic system students are often not introduced to the deep structure of particular knowledge domains until they reach university. But if students have a clear mental map of a subject area, they then have the conceptual ‘hooks’ to hang new factual information on. So a broad overview of a country’s history and geography will allow students to make sense of its culture, religion, economics and how it relates to the rest of the world. Then it won’t be necessary to learn by heart a list of 195 names, flags etc unless you want to. But, we might disagree in part… for example, I suspect currently that the 195 countries/capitals *is* the ‘broad overview’ for, say, the World. Having that, makes it easier to then learn at the next level down about one country (I speculate.) So I would start with that overview, top down, rather than building up to it, bottom up (country by country). I would say the same for history. I wonder whether something like Ernst Gombritch’s ‘Little History of the World’ would make for an excellent history primer for children – a central reference point to keep coming back to. Once that narrative overview of Western history is understood, pockets of it could then be better explored in greater depth. As for mathematics… I worry a *lot* about whether we’re missing that ‘deep structure.’ But then I wonder how different people would interpret that idea. I interpret to simply mean having a sense of what the four domains of mathematics are (as taught as school-level) and which topics fit where, and what the actual total domain of knowledge for school-level maths is. I think I had a problem with your comments on organic learning because of the wording; your heading says people *can’t* learn organically, when that’s not quite what you mean. Interested to see the knowledge frameworks posts – I’ll have a look. I see learning the names of 195 countries/capitals as memorising just tiny parts of two facets (how a country came into being and its principle population centres) of all the knowledge that’s available about those countries. There’s little episodic (experiential) or semantic (‘meaning’) information involved in learning lists of names. Whether you see learning names as an overview or not would depend on your mental model of human geography. Because physical geographical features play a major role in shaping nations, my starting point for an overview would be there. Knowing how mountainous or desert terrain shapes culture is an information-rich hook on which to hang further information. The name of a country, in contrast, contains very little information. I haven’t read Gombrich’s book so I don’t know what his worldview is, but his chronological approach makes a lot of sense. Why the shift from world history to Western history? Wouldn’t it be essential to have a global overview? Yes, people do interpret ‘deep structure’ differently. I’d view domain knowledge as including the whole domain and how the different aspects of it link up, not just the bits that are taught in school.